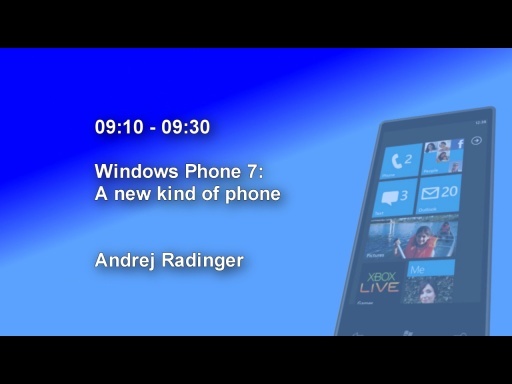 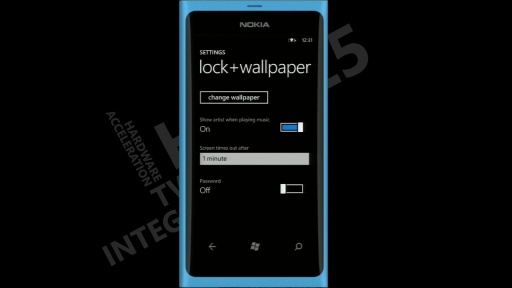 "This event is all about Windows Phone 7. 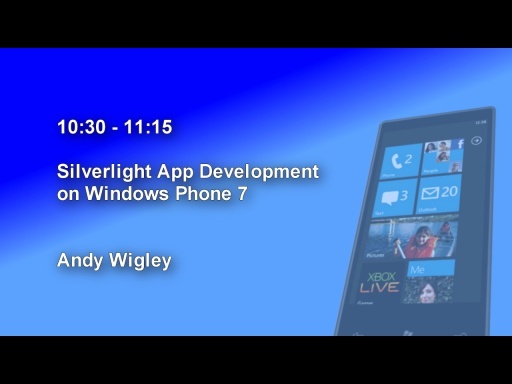 One day of demo-rich presentations where you can learn about developing Silverlight and XNA apps for Windows Phone. Come along and get ready to share in the excitement of the launch of this brand new phone platform. On the day you’ll hear from speakers and MVPs from Appa Mundi and the .NET developer community including some of the top-rated speakers from Tech Ed! We will have some of the Microsoft UK Developer Team on hand to help out and chat to attendees." Here are the links to the individual sessions (links will become active as more sessions are published).